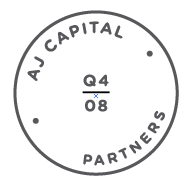 Adventurous Journeys Capital Partners (AJ Capital Partners) is a dynamic organization of opportunistic hospitality and real estate investors with a collective goal to acquire, reposition and develop highly sought after resorts and hotels in major metropolitan areas and prestigious resort destinations. In other words, they help create those hotels and resorts that you actually want to stay in. AJCP needed a sleek, modern and professional, yet scalable site that was also fully responsive across all platforms.